I love to look at internet lists like “12 Best Christmas Gifts for Wives.” Lisa and I have been married for thirty years; sometimes, I need a little help to get creative. In the midst of doing this, I try to remember the absolute best gift I can give my wife and kids: a heart that overflows with joy. 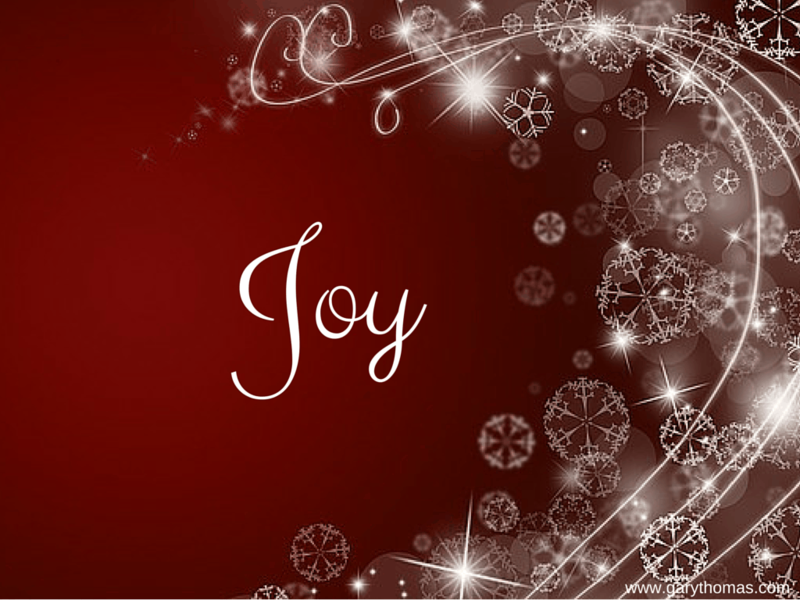 We all know that Christmas isn’t about the shopping, the wrapping, the baking, or the decorating but don’t most of us let much of that squeeze out the one essential part of Christmas: joy? We could put it this way: if we’re not giving our kids a joy-filled home, we’re not giving them a truly Christian home. If we’re not giving them a day that showcases joy, we’re not giving them a truly Christian Christmas. Let’s put joy first this holiday season. Ask yourself, and talk about this with your spouse: what will most serve our family’s joy this year? It may sound overly spiritual, but we all need to be reminded of our sin and God’s provision for our sin by sending His Son. There can be no joy when we live under condemnation. Do our kids know the Gospel? Have they received it? (This is the perfect time for family evangelism.) Do they need to be reminded of it? How can you do that in a creative way this Christmas? Joy is also preserved when we refuse to let the lesser drown out the greater. Let’s be more concerned that our kids are mindful of Christ and His story when we take them to church rather than whether their hair is a bit mussed or their matching outfits don’t look quite right. Finally, cut back on your schedule. It’s hard to know joy if we’re tired and run ragged. I’m serious, moms—your kids may be far better served if you start taking naps and buy a few less presents or hang a few less decorations. Nothing colors Christmas like a Christian woman filled with Christian joy. This may sound harsh, but I believe it to be true: if Christian homes are not bastions of joy on Christmas day, we’ve failed the holiday. Even in the face of tragedy—a family member who has died over the past year—there can be joy (not giddiness, but joy) over Christ’s coming as it represents the promise of a future reunion. An ongoing spiritual struggle needn’t drown out our joy because we know that God sent the Christ child just when and where He was needed most—and He’s not going to hold out on Christ’s provision during our current need. I’m not talking about silly laughter—if you’re in a crisis, that’s asking far too much. But in the midst of sorrow, there can be a deep undercurrent of assurance and satisfaction that, in the light of eternity, every Christian always has a reason to smile, even in the face of pain. I got to spend some time very recently with Saddleback Pastor Rick Warren, who lost his son last year. Two things struck me: here was a man who lives in tremendous pain, some of which will never go away this side of heaven, and yet he is also a man who lives with tremendous joy. It’s a wonder to witness firsthand, a man who so marvelously captures the Christian truth of certain hope in a fallen world. You can celebrate Christmas without presents (many have). You can celebrate Christmas without turkey (vegans do it all the time) and you can even celebrate Christmas without watching football. But celebrating Christmas without joy? For a Christian, that just doesn’t make sense. Gary, Thank you for letting God send another message through you. My husband and I are in the process of rebuilding and making our marriage a scared marriage. Last night we were having a hard, but heartfelt and needed discussion. One of my comments was “Christmas is not a happy time for me, too much stress and sad memories.” I realized as I was speaking that these were some of the most unchristian words I could say. I needed to be confronted. Thanks for this post. I am praying for a heart filled with joy this Christmas season. I pray others see my love for Christ and his love through me. Merry Christmas! Thank you I needed this more than you can imagine. I think I know what I need to do now, and I’ve been struggling a lot with a few decisions regarding Christmas. You see every year has become more of a stressful time that winds up killing my joy, and yet I always know that’s just not right. I’m going to make a few changes in things this year, and a few more the next until I get it right. Just as you have shared here. I’ve recently started reading your blog and am liking what you have here. Keep up the “God” work. This was nourishing to my soul this morning, thank you for helping me remember the Joy of Christ that outshines gifts, cookies, football, etc. You nailed it once again, Gary! Thank you for inspiring us with TRUTH. I wish I would have learned this lesson YEARS ago when our children were young and still at home.I tried to have everything just “perfect” and worked myself into a stressed out mess by the time Christmas arrived. Hindsight is 20/20. May the Christmas season be merry and bright for you and your family! Such inspirational truth, Gary! I guess I’d never really thought of it that way. People have a tendency to spend themselves joyless during the Christmas season. Doesn’t make sense, but we do it. Thanks for the reminder that we can choose to be more intentional when it comes to guarding/stirring up one of the virtues/fruits that matters most. Joy.